The Cambridge Public Library, which reopened in November 2009, includes a striking new glass building of 76,700 square feet joined to the restored 27,200 square foot landmark, designed in 1887 by Van Brunt & Howe and listed on the National Register of Historic Places. 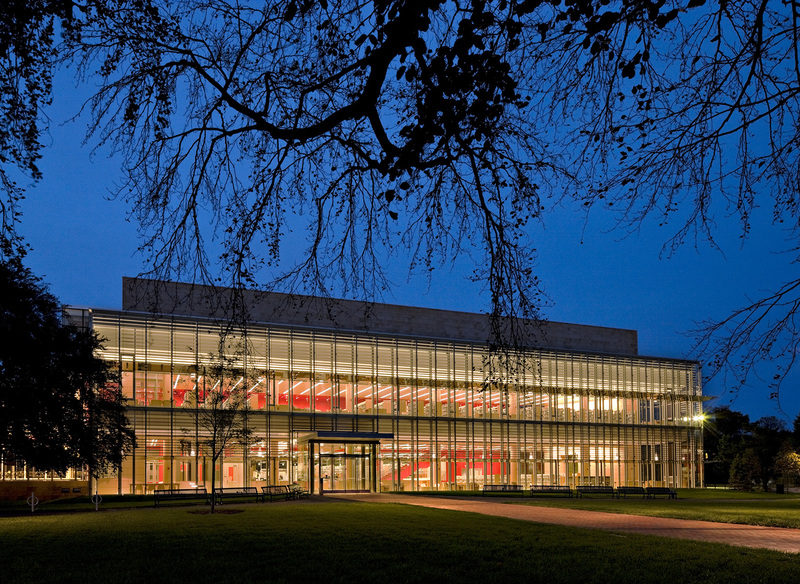 The building has capacity for over 275,000 books, 90 computer stations, community meeting rooms and a 220-seat auditorium. Over 2,000 patrons visit the building every day. The project also includes an underground parking garage with a 33,000 square foot green roof and the restored Joan Lorentz Park. 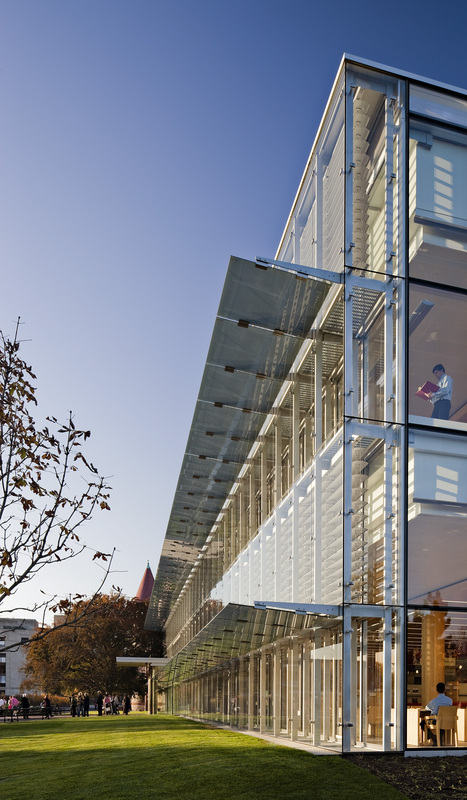 The building is a model of innovative sustainable design with the first of its kind double-skin curtainwall in the U.S. The front façade has a 3’ deep airspace, multi-story flue, and movable 12” sunshades that create thermally-comfortable and glare-free reading spaces. 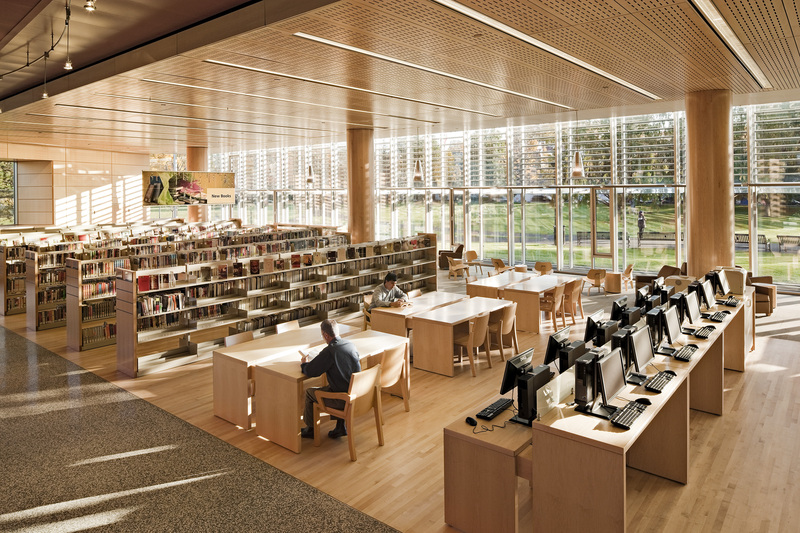 The library was designed by William Rawn Associates, Architects, Inc. (Lead Architect) with Ann Beha Architects (Associate Architect/Historic Building Architect), both of Boston. This award represents one of the 22 honors and awards that Cambridge Public Library has received since it opened in October 2009, including the 2010 Harleston Parker Medal for “The Most Beautiful Building in Boston” from the Boston Society of Architects (BSA). It’s great to see this incredible facility get recognition. Whenever I go in to it it is full of people reading, using computers, chatting (quietly). etc. Susan Flannery says that circulation numbers have been increasing (rare for libraries these days). THese are true measures of success. And I am happy that I was part of the process that got us this building as a member of the Library21 Committee and the Design Advisory Committee (DAC). The DAC was interesting as residents, city staff, and staff from the two architectural firms worked together to shape the plans. Such a fascinating merge of a modern building and a historical building – in many other instances not done very well. We are fortunate to live in a city that was committed to doing this project and could afford it as well.